Sri Lanka’s current economic crisis is no more a secret today. In a previous article in this series, this writer drew the attention of economic policy makers to its threefold manifestation (available at: http://www.ft.lk/article/515521/Looming-economic-crisis--policy-approaches-are-too-short-and-too-late-while-some-are-unproductive). It was manifested on the foreign exchange front, fiscal front and the money and credit front which all led to slow down the economic growth. The article under reference warned the policymakers that their response to the crisis was too short and too late. The crisis was hidden by both the Central Bank and the Ministry of Finance in their respective annual reports for 2014 released in mid-2015. The Ministry of Finance, in its annual report for 2014 released two months after the release of the Central Bank Annual Report, reaffirmed the Central Bank’s claim that the economy grew at a higher pace. In fact, the Ministry of Finance took pride in the high growth – at 7.4% on average – the country had maintained during the last five year period from 2010. The crisis was of course not a creation of this Government, but an ailment inherited from the previous administration. But this Government was at fault by taking several missteps, as pointed out by this writer in the article under reference. The sins it committed were the following: Not making a proper assessment of the economy despite the warning by independent analysts; signing off the inflated growth numbers produced by the previous administration in the reports it has put out; not disclosing the crisis to prepare people for hard choices and failure to take immediate corrective action to come out of the crisis. The new Government was warned by independent analysts and think-tanks of the looming economic crisis. For instance, the Institute of Policy Studies or IPS, though an organ of the Government like the Central Bank, looked at them from an objective apolitical perspective. In its State of the Economy 2015 Report, IPS has said that the headline growth numbers and impressive infrastructure facilities have masked the real situation in the country. Not only at election platforms that they cannot be explained. Nor could they be explained even to people in power who always desired to listen to only good news praising their policies. It was, therefore, unfortunate that the Central Bank, created by the nation to give impartial and apolitical analysis to the public and make its policies independent of politics, acted like an organ pleasing the ruling political powers. Now the crisis is looming large over the country, calling for firm action. But the authorities appear to be taking palliative measures to fix it. After nearly one-and-a-half years into power, the new Government cannot continue to blame the previous administration for the country’s economic ills. It should now have in place firm measures to put the economic house in order. If it has not, that is its fault. While the fiscal sector crisis was there all throughout, the external sector crisis and monetary sector crisis began to show symptoms as from 2012. The fiscal sector crisis manifested itself in declining Government revenue as a percentage of the country’s total output – known as Gross Domestic Product or GDP – in a background of an uncontrollably rising expenditure programme. Accordingly, the Government spent on consumption more than its revenue year after year demonstrating that it was a big spendthrift, quite oblivious of the limitations of its resource base. It continues to be so even today. The profligacy in fiscal management that it had followed has added more to the country’s public debt. This created a severe debt service problem for successive governments. Thus, the money to be spent on the repayment of the principal and the payment of interest on public debt exceeded the annual Government revenue. This adverse development, along with the overconsumption of the Government and the need for maintaining the capital expenditure programmes at required levels, made the reduction of the budget deficit an impossible task for the Government. On top of these fiscal maladies, leading public enterprises made colossal losses continuously imposing an additional burden on the budget as well as the people of the country. The external crisis of the country was more precarious and was suggestive of the country reaching an eventual doomsday. The Central Bank had repeatedly assured in its publications that the country had an inbuilt resilience, implying that it could come out of the crisis on its own without external support. Yet, the developments continued to weaken the sector, putting pressure on the rupee to fall in the market to record low levels. The year 2015 was particularly a bad year for Sri Lanka. In that year, foreign exchange inflows to the country through exports and remittances declined, while outflows on account of the repayment of foreign loans and foreign investors quitting the government securities market increased. The trade deficit, manifesting a serious structural problem faced by the country, increased marginally from $ 8.3 billion in 2014 to $ 8.4 billion in 2015. This has been the level of Sri Lanka’s trade deficit over the past few years. Remittances which helped Sri Lanka to part-finance the trade deficit fell below $ 7 billion in 2015. The Central Bank in a vain attempt at preventing the rupee from depreciation had sold $ 492 million in the market during the first two months of the year. Yet, it could not protect the rupee; nor could it preserve the foreign reserves of the country. Thus, in its own admission, in the first three months of 2016 alone, reserves have fallen from $ 7.3 billion at end 2015 to $ 6.2 billion at end March, 2016. The free reserves available to the country for meeting its urgent foreign exchange liabilities have fallen to $ 5.3 billion by the end of March, 2016. This is not a situation about which Sri Lanka should be complacent at all. In the monetary sector, as argued by this writer in an article titled ‘Dilemma in Monetary Policy: Monetary Board caught in The Devil’s Alternative?’ (available at: http://www.ft.lk/article/534654/Dilemma-in-monetary-policy--Monetary-Board-being-caught-in--The-Devil-s-Alternative-? ), there had been several missteps taken by the Central Bank to complicate the matters. In fact, the current foreign exchange crisis is a creation of the Bank’s illogical monetary policy. The Central Bank has been following a low interest rate policy in the belief that it would bolster the economy. However, the results have been the opposite. The open market interest rates have risen far above the bank’s policy rates relegating it the status of a market follower instead of being a market leader. It has facilitated commercial banks and primary dealers to make arbitraging profits by borrowing at low rates from the Central Bank and lending elsewhere at high rates. Banks have reduced deposit rates immediately after interest rate cuts but maintained lending rates at the previous levels. Thus, the Central Bank’s low interest rate policy has enabled banks to make thumping profits in 2015. It also has boosted imports putting extra pressure for the rupee to depreciate in the foreign exchange market. These economic ailments have been reaffirmed by the Staff Team of the International Monetary Fund that visited Sri Lanka during the first two weeks of April, 2016 in a press release it issued after discussions with Sri Lankan officials (available at: http://www.imf.org/external/np/sec/pr/2016/pr16164.htm). The mission has indicated that the real economic growth rate that amounted to 4.8% in 2015 would remain around 5% in 2016. It has warned that any attempt by Sri Lanka to increase its growth rate to medium term potential growth rate which is around 7% would depend on the country’s implementing a viable economic reform programme in the near term and removing bottlenecks for trade and investments. The Government on its part has proposed a reform programme, according to IMF press release, to achieve high and sustained levels of inclusive economic growth, restore discipline to macroeconomic and financial policies, and rebuild fiscal and reserve buffers. This reform programme includes four key elements as follows. First, it would improve the Government’s revenue administration and tax policy to enhance its revenue base. This should be a top priority given the falling Government revenue-GDP ratio. Second, it should strengthen public financial management. The IMF Mission has not spelt out what is meant by this but it normally involves a number of key action programmes: elimination of waste, setting priorities for expenditure programmes, curtailing consumption and generating savings and establishing pre and post impact assessment mechanisms for all Government expenditure programmes to ensure their effectiveness. Third, the Government will undertake a State enterprise reform programme. This involves elimination of losses in loss-making enterprises, on one hand, and improving the efficiency of better enterprises, on the other. Fourth, the Government will undertake structural reforms to enable a more outward-looking economy, deepen foreign exchange markets, and strengthen financial sector supervision. This last element poses a serious challenge to the present Government. That is because it encompasses the whole economy, covering all the sectors including foreign trade. The proposed ETCA to be signed with India and all other trade agreements to be negotiated with other key countries such as China, Japan, South Korea, EU and USA are included in this reform agenda. Thus, if ETCA with India fails, all other economy wide reforms as well as all other trade reforms too will fail. What the IMF Mission says is that if the Central Bank decides to increase interest rates today, it would take a long time for the results to be realised. Hence, the Central Bank should take action to curtain inflation well in advance. What it means is that the Central Bank should have a long foresight in its policy determination. The Monetary Board which is charged with this task should not just look at today or even the near future, but the very medium term when it decides on its policy. Contrary to this wisdom, the monetary policy review issued by the Bank in March had purely concentrated on the past and decided to maintain status quo by being complacent about a temporary relief which the country had got in January 2016 (available at: http://www.cbsl.gov.lk/pics_n_docs/latest_news/press_20160329eb.pdf). 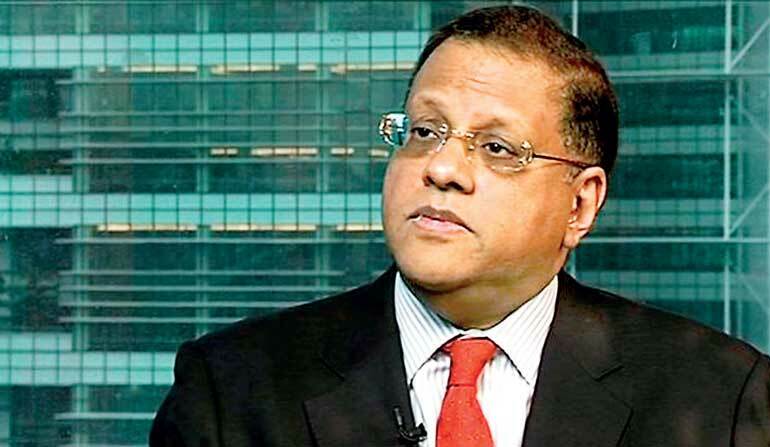 Taking a completely contradictory view to the wisdom pronounced by IMF Mission, Central Bank Governor Arjuna Mahendran is reported to have dismissed the need for monetary policy tightening, that is, increasing interest rates, in the future because he expected the economy to make a ‘soft-landing’ with core inflation in check (available at: http://www.ft.lk/article/536624/Policy-tightening-unlikely--CB ). However, given the current worsening economic scenario, it is doubtful whether the economy would have a soft-landing. All indicators point to a nose-dive hard-landing for the Sri Lankan economy unless it gets into corrective measures promptly. Markets expect credible and reliable announcements from the Central Bank. The statement made by the Governor appears to be pleasing to politicians who are for loose monetary policies. But the pressure in the market is building for interest rates to go up and exchange rate to fall. At the same time, whether the proposed tax reforms would improve the budget in the near term is uncertain. Given this situation, it is inevitable for the market participants to make a series of adjustments to protect their own interests. Such a development in the market is fatal to any central bank. The Reserve Bank of India Governor Raghuram Rajan had left a useful piece of wisdom with his counterparts at the Central Bank of Sri Lanka when he delivered the Central Bank’s 65th Anniversary Oration in August 2015. He defined low interest rate policies as Unconventional Monetary Policies because they defied the conventional economic wisdom. Such low policies will encourage banks and private sector businesses to take unaffordable risks. He implied that when music is halted when the situation becomes bad, they get into a game of musical crises where participants are eliminated one by one from the scene. It leads to a bigger crisis because the low interest rate policies have failed to generate long term sustainable economic growth. Such economic growth comes from innovation and enhancement of efficiency through structural reforms. What it means is that an economy should create an environment conducive for investments to take place. He concluded his oration warning against competitive monetary easing as is being done the Central Bank today and getting pushed toward games of musical crises. Thus, to realise desired results, it is necessary that Sri Lanka should adopt a logical and consistent policy package.